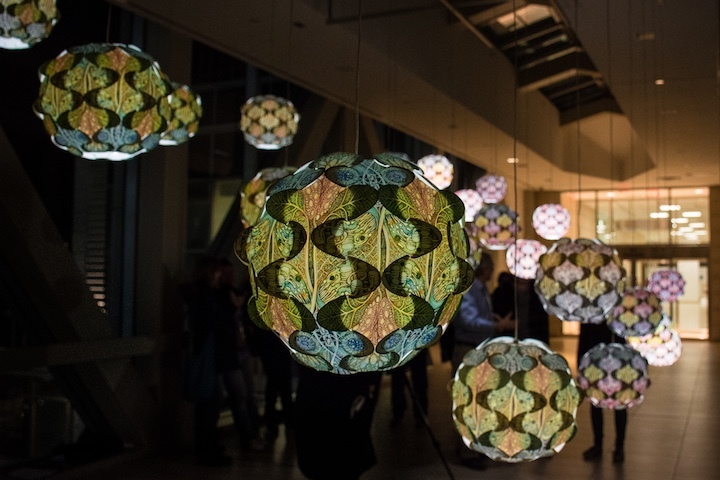 Visual arts, bio-science, light-design and engineering combine in this installation of 24 programmed LED lit handmade lamps that symbolize the metabolism of the Oxygen-Carbon Dioxide cycle in the biosphere. 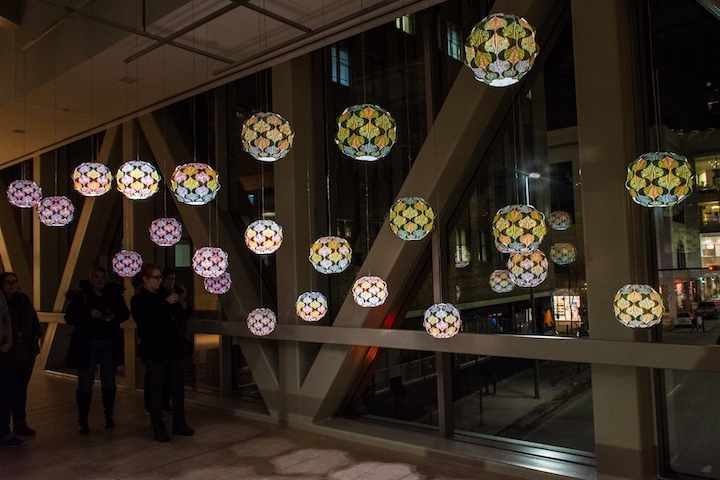 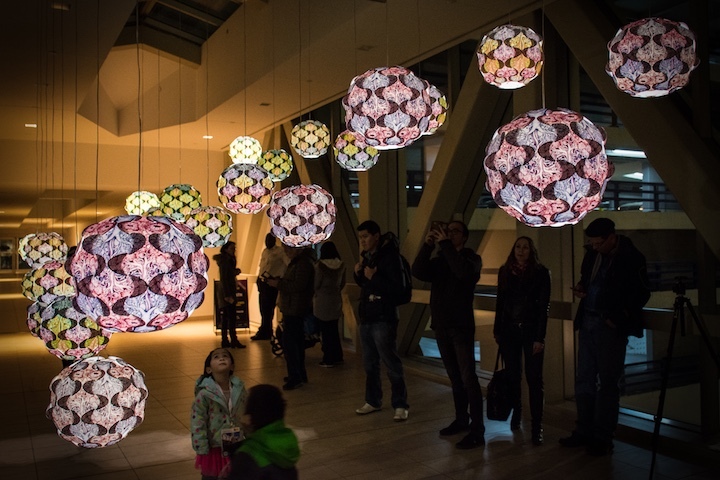 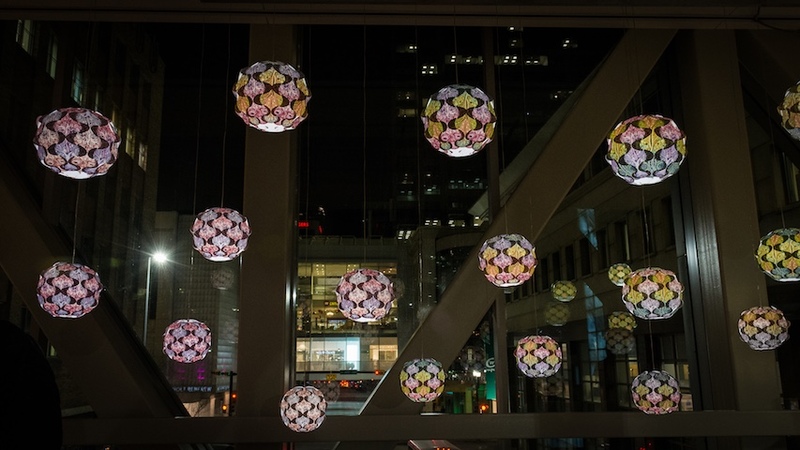 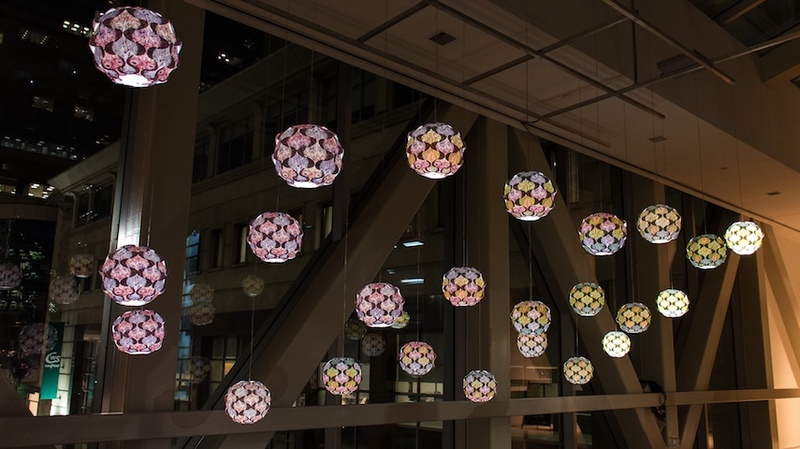 Visual artist Eveline Kolijn created the lamps following a lung cancer research residency at the Norris Cancer Centre at the University of Southern California in 2013. 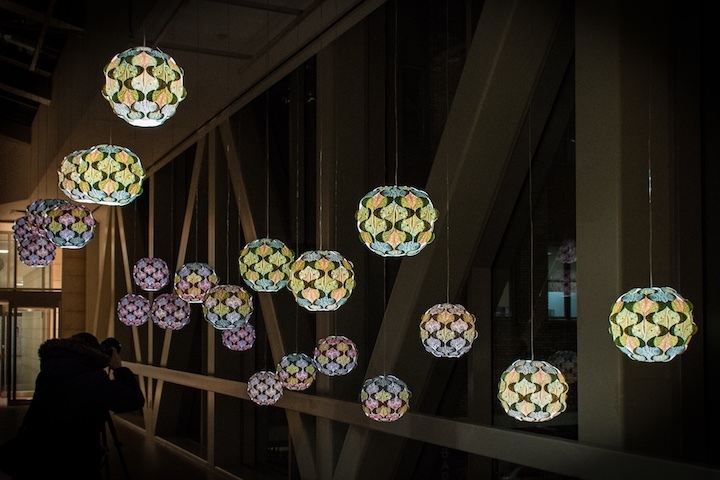 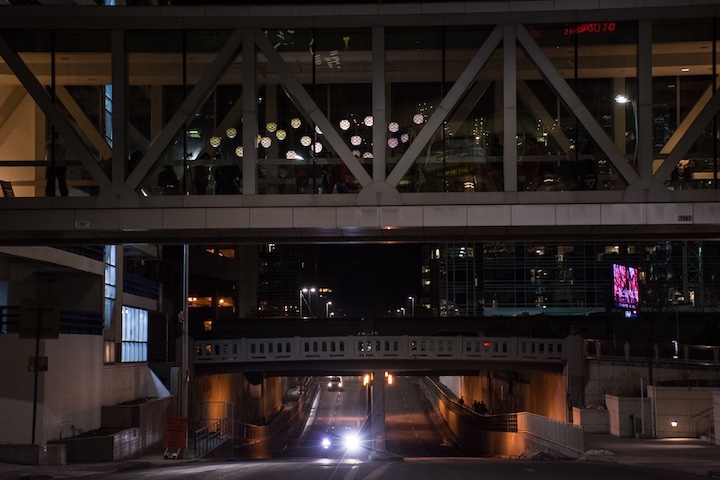 For this project, she has partnered with lighting manufacturer, designer, inventor and handmade-paper artist Brian Queen to realize her vision of bringing an installation of these lamps to life through engineered light design.